One of the reasons college costs so much is that American universities operate like elite private schools with extra administration. Since Germany became tuition free a couple of years ago (again), Americans have apparently been “flocking” there to take advantage of a free higher education. I have to wonder which Americans are benefiting from Germany’s generosity. How many lower-middle class and below 18 year olds do you know that would be able to get a passport, plane ticket, and housing in Germany to get one of these great free educations? According to one website, to get a German education VISA, “They will ask for proof of enrollment from the university, health insurance documentation, plus you will need to demonstrate you have access to at least 659 euro per month for the first year, or 7,908 euro total.” That’s not an enormous amount of money, compared to college education in the US, but if your parents don’t even make enough money to have Obamacare require health insurance (and you don’t either), chances are you are facing many obstructions to getting a free education in Germany. 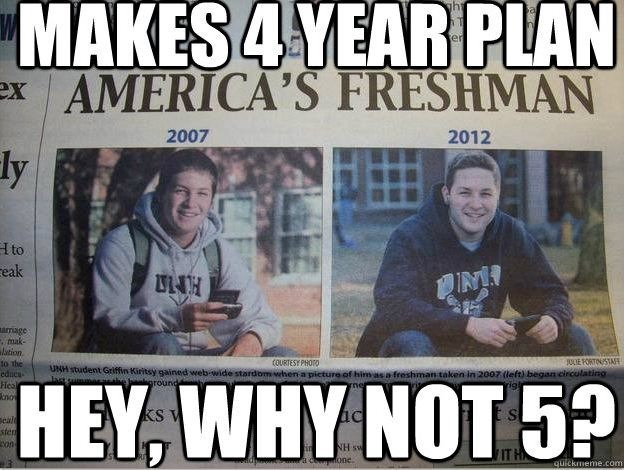 I guess if college was free in America, this wouldn’t be a problem anymore, right? Beyond the problem of who would really benefit from free college (hint, mostly kids who could afford better early education, and thus college as well, and get into schools that will likely have lower acceptance rates), we also have to consider what free college looks like. Let’s go back to the idea that colleges behave like elite private schools. Do you attend (or does your child attend) a school with state-of-the-art facilities, recently built dorms, fantastic exercise facilities, sports teams, administrative personal for every imaginable problem, tutoring and expansive disability services, a plethora of majors, relatively small class sizes, and clubs, events, and frats galore? Did you read that list of think, “of course, that’s what real life looks like!”? No, college today is nothing like real life and that is why it is so darn expensive. You are not paying for an education, you are paying for an experience. (And considering the fact that universities are hiring more and more woefully underpaid adjuncts, you truly are not paying for an education). A free education in Germany, or most of Europe, will educate you and require you to live (or learn to live) like an adult because it strips out all of that bloat. Don’t get me wrong, I don’t think it’s horrible that schools offer these things. You have to be pretty heartless to say expansive disability services is a bad idea, and I would even say that most items on that list are good things. (I could do without frats and their unequal female counterparts, personally.) They may say the best things in life are free, the good things (or the goods) are not. So if we want affordable, or even free, higher education it needs to be significantly stripped down, just like it is in Germany. Say goodbye to dorms, food courts, many majors, any kind of small-liberal-arts experience, and even the opportunity for most to go to college. That’s right, in Germany only about 30% of students attend college, likely because the path to college is divvied out by the end of the American elementary school, and there is a quota system in each major. There is, however, excellent vocational training in Germany for those who don’t attend college. I love German reasonableness and American excess. But American excess cannot, and should not, be free. We should focus on how to provide low cost tertiary education, including vocational schools and apprenticeships, before we consider throwing taxes at it. That’s right, in Germany only about 30% of students attend college, likely because the path to college is divvied out by the end of the American elementary school, and there is a quota system in each major. There is, however, excellent vocational training in Germany for those who don’t attend college. Having German family and speaking German, I wish I remembered to mention this more often to Americans who look to Germany as a model for education. I actually like the German system, but that’s because I’m culturally German as well as American. I don’t mind people being denied the opportunity to go to college if they would be better served doing something else. Not everyone is made for college. That kind of attitude is anathema to Americans, land of opportunity. Sometimes the American attitude is good: Some people don’t discover their talents until later in life. But most people end up just as you’d expect, and college is a disaster (or at least wasted) if you don’t have the temperament and desire for it. Yes, apprenticeships. I tried to convince my husband to read the law and do a legal apprenticeship (in one of the few states that allows this) instead of law school. He did not opt for the road less traveled, but I still believe that legal apprenticeships need to come back and replace the current, crazy expensive, law-school model. There are benefits to law school, no doubt, but law schools are in serious need of reform. That’s just one profession, but I can see many professions, schools, and students benefiting from a changed path.